When developing a website, it is easy to make a mistake that can prevent customers from coming, and search engines from ranking it highly. 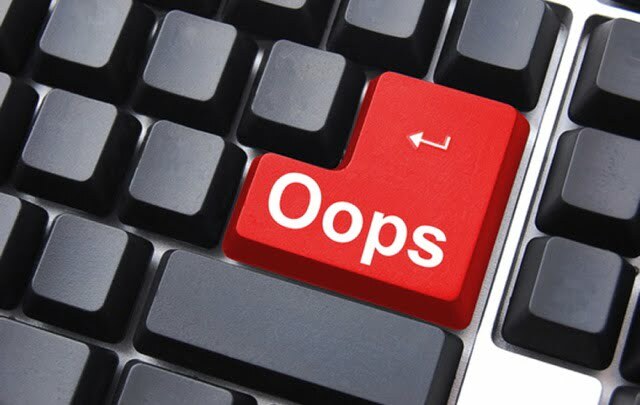 Let’s take a closer look at the 6 most common website mistakes and what to do to avoid making them. SEO compliant articles will have a healthy mix of keywords that support the content of the article. It is vital to keep the keyword density low and natural since that may raise some flags if search engines interpret that as an attempt to spam their index. Plagiarism takes many forms, for most webmasters it is simply having the text appear too similar to something else already online. It is normally accidental, and can be avoided by running the copy through an online plagiarism detector like Copyscape. Publishing original content is always the best option. The human mind thrives in diversity of information. Implement a healthy variety and see your site captivate the reading audience. Include a variety of media like pictures, movies, music, and alternative text layouts. The smallest things can make the difference between an effective site and a website or page no one will ever visit or read. This is the most difficult thing for new web sites. Quality incoming links will boost your SEO since links are still considered by search engines as an important ranking factor. Link building is a huge topic and if not done properly it can do more harm than good. If you have a relatively new website (less than 1 year) or even for old websites, it is better to avoid exaggerations and stay away from any link building schemes since this may signal the end of your rankings or chances of achieving good rankings in the near future. The best ways to get some quality incoming links without issues is to combine good quality content with social media promotion. This will eventually attract some good quality links that will give you the extra push without worrying about violating any guidelines. Social media is a vital component of daily life for nearly every adult. The ability to communicate quickly, and securely, has kick started a new era in interpersonal communication, one which companies cannot afford to ignore. A quality social media profile allows a business to quickly and easily interact with readers and clients, helping minimize and issues and create an effective rapport that will provide free advertising. When creating a post, make sure to include a link back to your site. That is the only way to guarantee that everything will mesh perfectly. Communication is key for any successful site. By providing an avenue for lowering the barrier between yourself and your readers, you can identify new prospective avenues for product creation and advertising. Additionally, this can serve as a way for you to control public perception of your company. Marketing is vital for long-term success, and most competing firms have no problem talking down about other companies. By having a platform in place to address any allegations or rumors, you will be able to handle issues quickly and easily. Creating a website is not something that will only be done once. Every time you add new content, or alter existing information, you are continuing the process started the moment you obtained a domain name. KnownHost, the online professionals in managed, reliable dedicated servers. It is vital to remember that feedback is essential for anything that is designed to be used by the public. Have beta users go over every detail of the site, identifying usability problems before the public gets a chance to complain. An editor is vital as well, to guarantee that everything stated can be easily understood.